The McNeil River in Alaska is known for the congregation of brown bears. The authority designated the area as a wildlife sanctuary back in 1967 and then enlarged it in 1993. McNeil River State Game Sanctuary is among the few places on Earth that let visitors experience a close encounter with the brown bears. 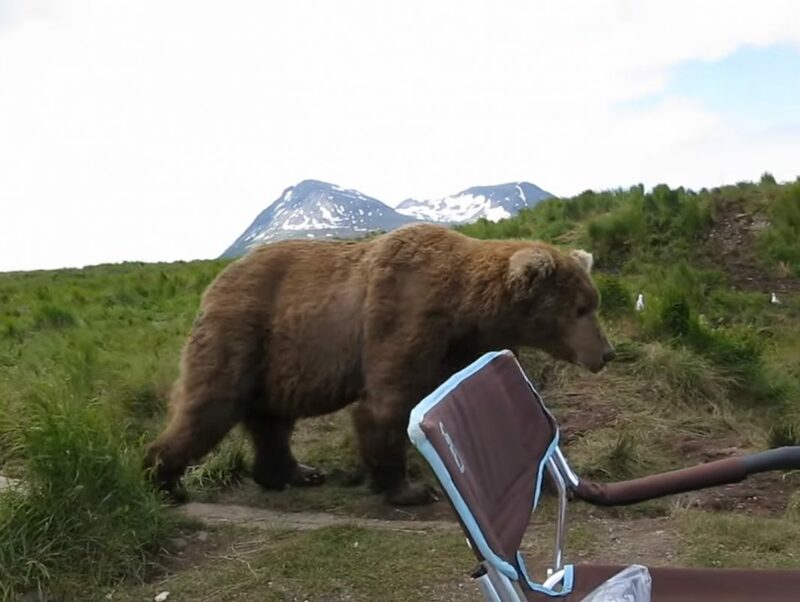 A man had a close encounter with a big brown bear in the sanctuary when the big fellow sat casually next to him to enjoy the nice breeze and amazing scenery. Reported by Huffpost, Drew Hamilton, a tech worker with the Alaska Department of Fish and Game, was photographing brown bears in the sanctuary in 2014 and had this once in a lifetime close encounter with the cool brown bear. According to Natural Habitat, Hamilton has spent over a dozen years observing and photographing brown, black, and polar bears across Alaska and Canada. Hamilton was relaxing in his camping chair. Suddenly, a big brown figure made its way next to Drew, and it wasn't quite a while later that Drew realized the figure was a large brown bear. As the brown bear walked to the riverbank, Drew recorded the pleasant surprise with his camera. Although the brown bear appeared out of nowhere, it didn't show any signs of it being disturbed by Drew’s presence in the area. As the video continues, the brown bear can be seen sitting next to one of Drew’s camping chair. Apparently, the animal simply wanted to share the tranquillity with the unsuspecting man.